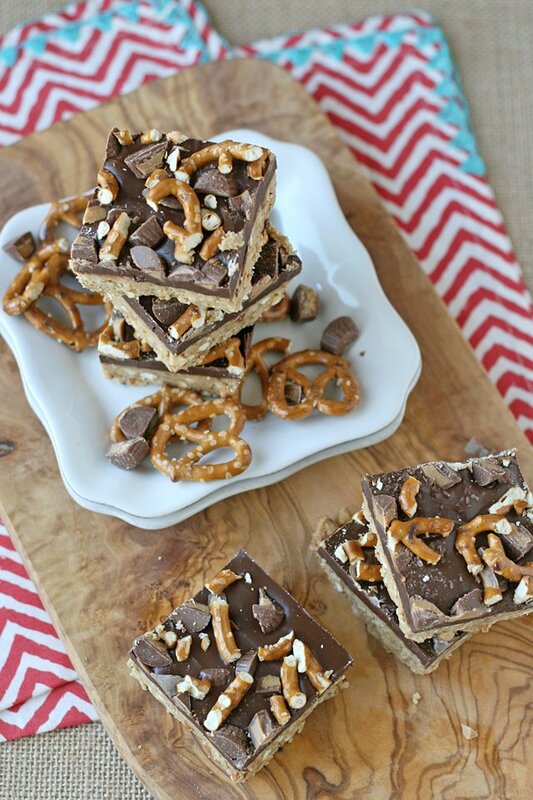 Sweet, salty, crunchy… these No-Bake Peanut Butter Pretzel Bars are crazy delicious! With Halloween approaching I realized I’ve reached a very sad stage in parenting… my kids are now old enough to notice if I eat half of their candy! So… I need to make my own treats! These bars are so rich and sweet I can happily enjoy a couple of these guys while my kids go through their Halloween candy stash! 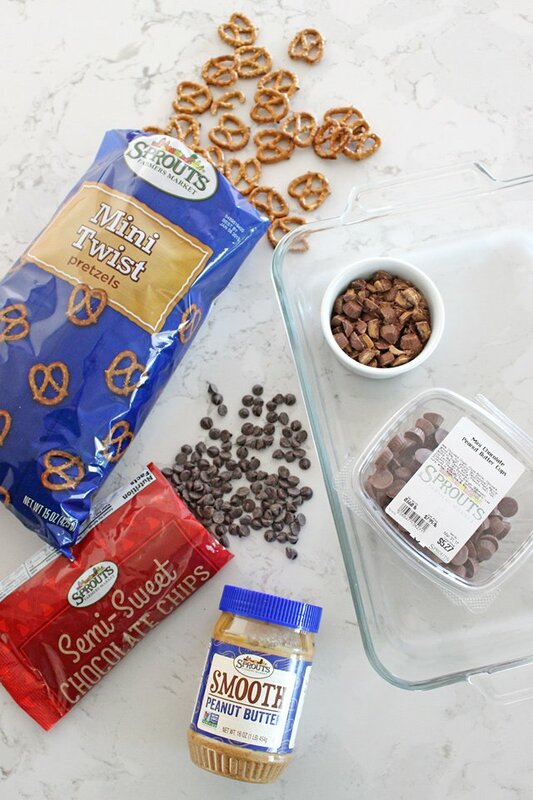 This recipe starts with some of my favorite Sprouts Farmers Market items… pretzels, peanut butter, chocolate chips and mini peanut butter cups, yum! 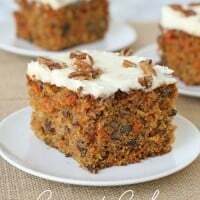 In fact, my pantry is usually stocked with most of these ingredients, so this is a great recipe that can be made with little notice! Oh well, just a good excuse to run to Sprouts to stock up again! 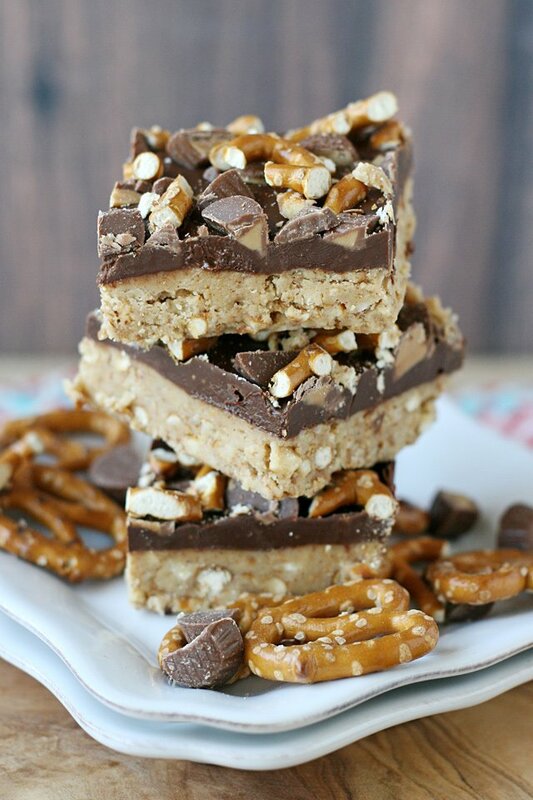 These bars are sweet and salty and crunchy and simply delicious! 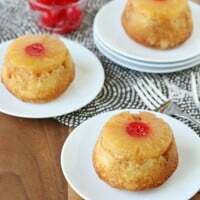 This easy recipe is sweet and salty and crunchy, and simply delicious! Place pretzels in a large plastic bag and crush (with a rolling pin) until well crushed (mostly crumbs and some small pretzel pieces). In a large bowl, combine crushed pretzels, melted butter, powdered sugar and 1 cup of peanut butter. Spread mixture into a 9"x 9" casserole dish (or square cake pan) and press into an even layer. In a small bowl, add chocolate chips and melt in the microwave (at 50% power) in 30 second intervals until mostly melted. Stir until fully melted, then add remaining 1/4 cup peanut butter and stir until smooth. Pour, then spread chocolate topping in an even layer, then place dessert in the fridge 2-3 minutes, until the chocolate has cooled slightly, but is not firm. 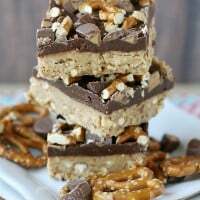 Roughly chop some additional pretzels and mini peanut butter cups, remove dessert from fridge and add toppings, pressing in to the chocolate layer slightly, as needed. Return entire dessert to the fridge and chill at least 1 hour before cutting into squares. Store the bars in the fridge. Once set, the bars can be cut and then stored in a tuperware type container, or individually wrapped in saran wrap for at least 3 days. The finished bars will be slightly crumbly, so it's near impossible to get super perfect bars. Make sure the bars are well chilled and firm before cutting, and wipe off the knife between cuts, as needed. These bars are super sweet and rich, so you can cut them into quite small pieces. Recipe source - Adjusted slightly from Trisha Yearwood. Visit Sprouts.com to find the Sprouts market nearest you. 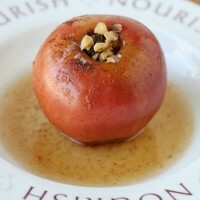 And Sprouts.com is also packed with delicious recipes to enjoy all year round! YUM! ! ! ! ! 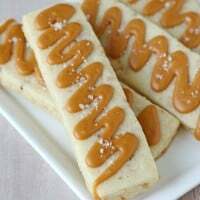 These bars have the perfect amount of sweet and salty! Yummy! Yum! 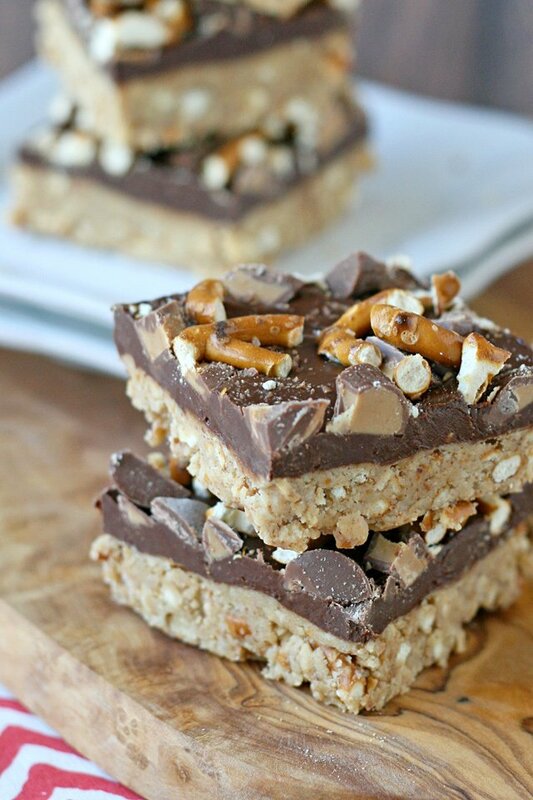 These look like the perfect Halloween-y treat bar!